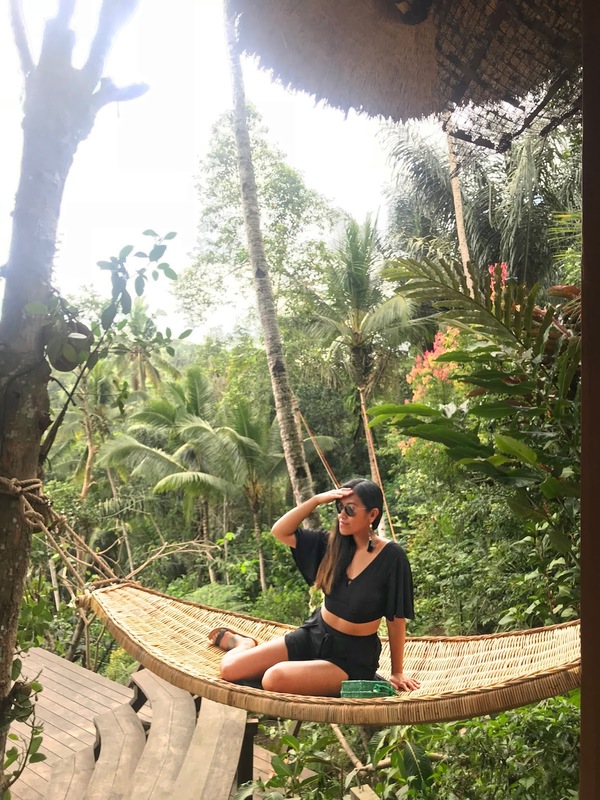 It has been one my top destinations to travel since forever; I have only heard good things about Bali and this past month I had the opportunity to visit! 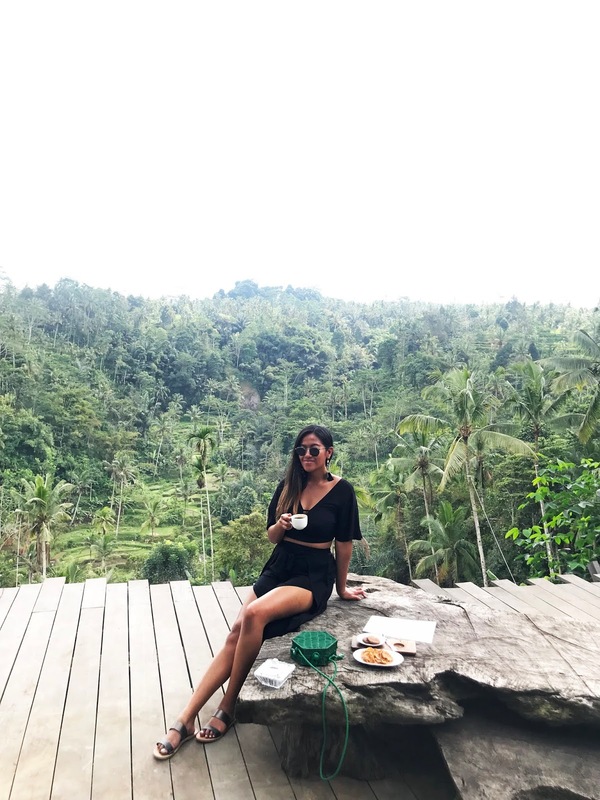 Want a one-day package of all the greatest and picturesque spots Bali has to offer? The Instagram Tour is calling your name! 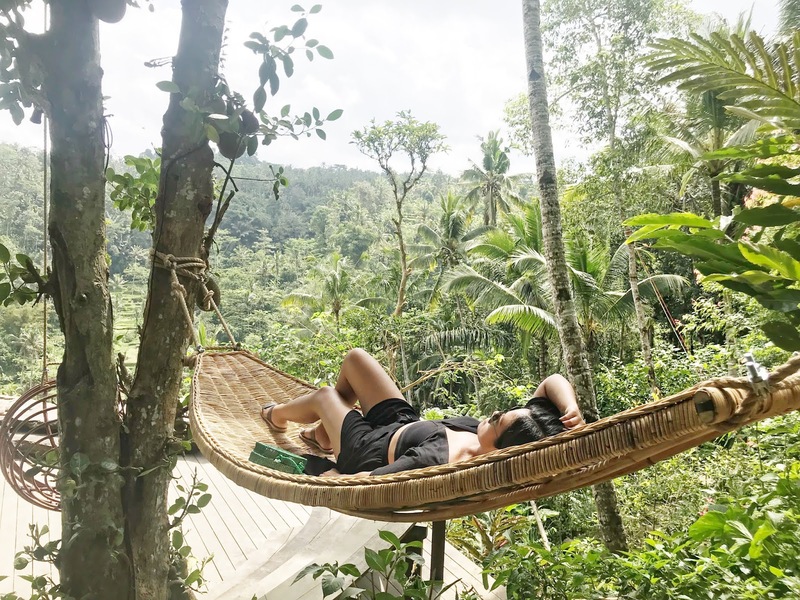 From sunrise to sunset, you visit 5 of the most iconic spots: a waterfall, temple, water palace, rice field and you get to swing in a jungle – it doesn’t get much better than that! Prior to my tour, I received an email from the Get Your Guide’s team stating they will be launching a premium option on the tour which includes a chance to film your tour with a drone. Since I was taking the tour the following week, I had the opportunity to film mine! I was so excited – as I have never been filmed by a drone, but have always wanted to! This was going to be an adventure of a lifetime. The adventure started right at 6 am; the tour guides picked me up at my villa. 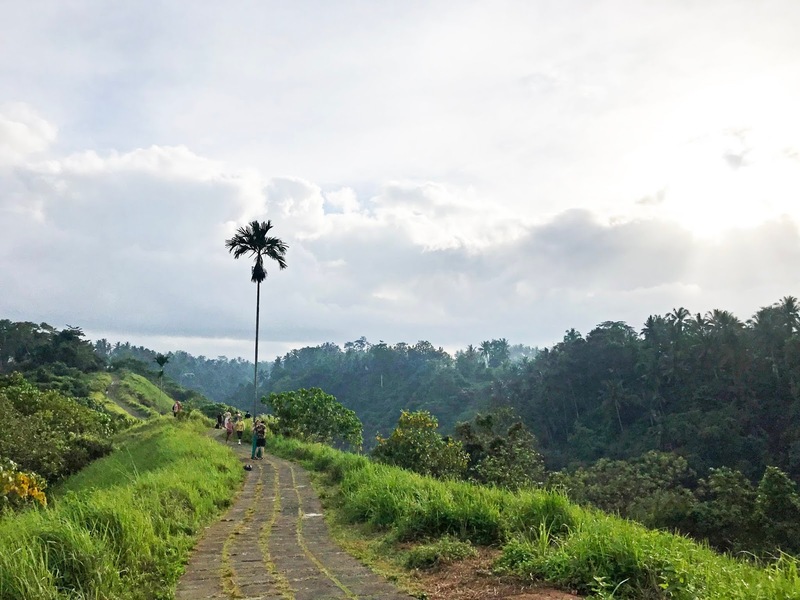 Our first stop was Tjampuhan Ridge located in Ubud, which was about 2 hours away from my hotel with traffic. This area was completely different from where we were staying – it was very nature and very green. With stunning outdoor views – makes hiking the path worthwhile. We came here to shoot our first drone video; though it was short, I would totally recommend checking out this beautiful pathway. The best time to enjoy it are early mornings and late afternoons as it was scorching hot when I went. 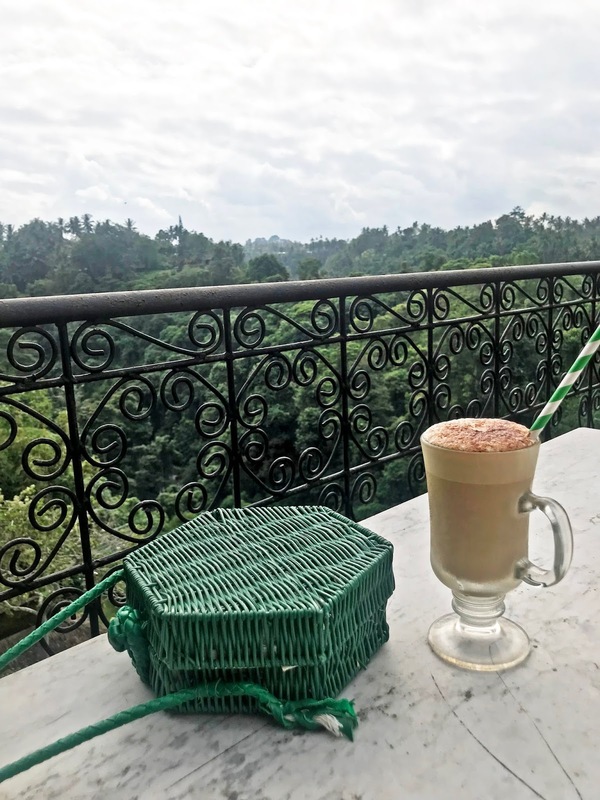 Then we headed for quick breakfast with the most gorgeous view; had some crepes and a mocha latte – so good. Afterwards continued our trip to Tegallalang Rice Terrace. 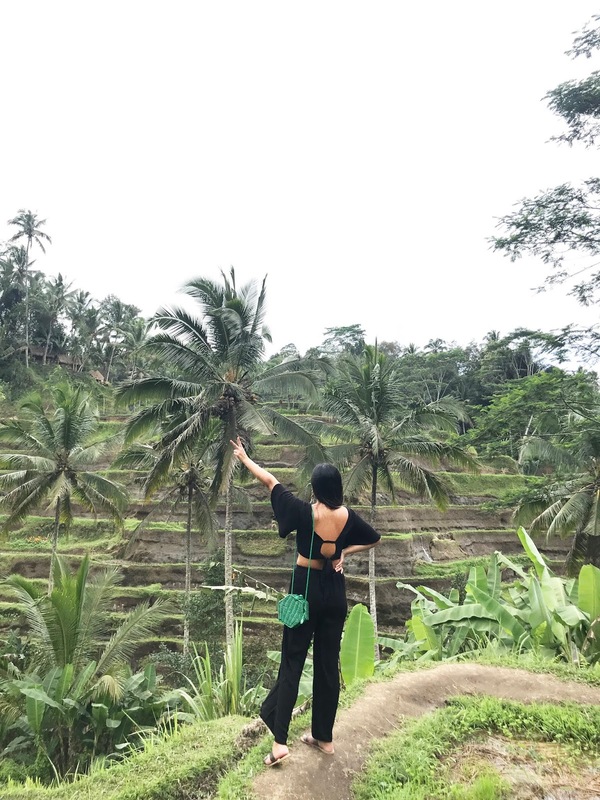 This location is definitely Insta-worthy; and if you are Instagram obsessed, you’ve probably already seen these rice terraces as any travel blogger that’s visited Bali has taken a photo here. 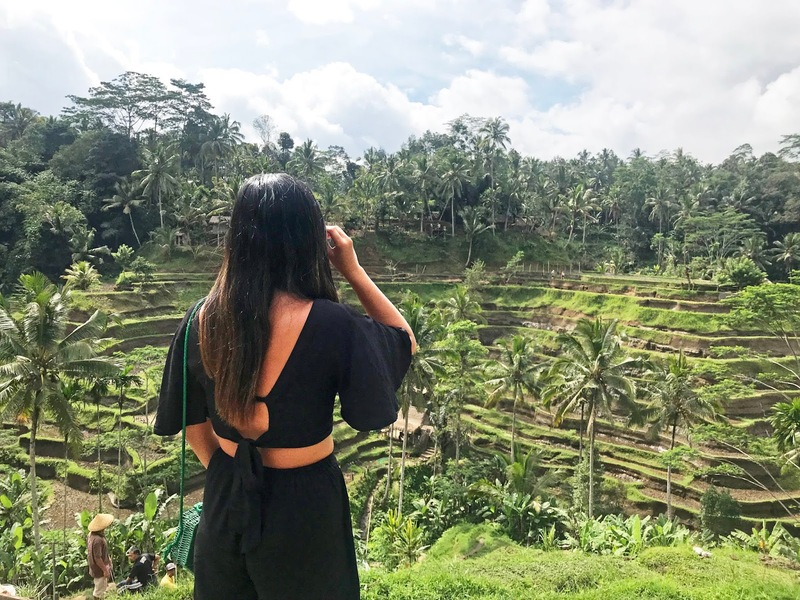 The Tegallalang Rice Terraces in Ubud is famously known for its beautiful scenes of rice paddies. It’s such a pretty and peaceful spot – though it’s busy with many tourists; it’s a definite photo opp-must. 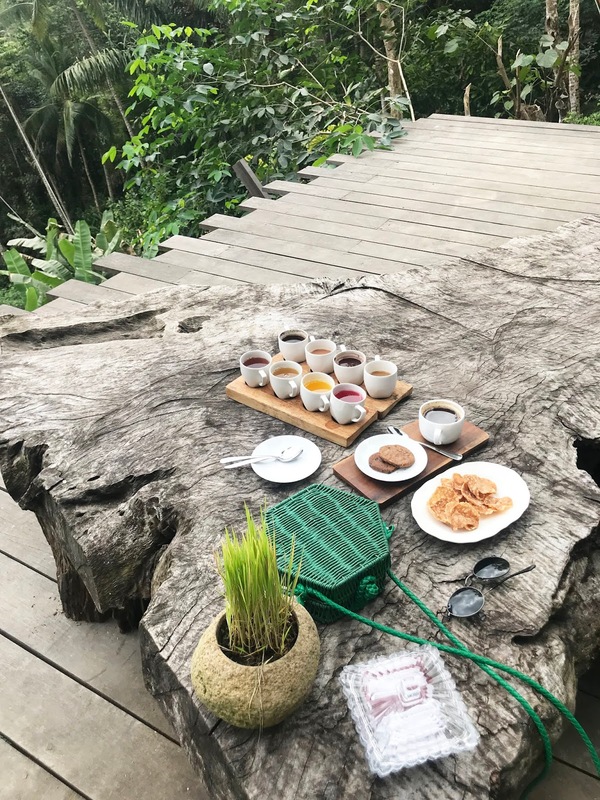 After visiting these terraces, we stopped for a coffee break – Kumulilir, where we sampled Bali’s famously known Luwak Coffee. This was my favorite spot out of the trip because it was SO unique! The views were phenomenal (pictures don’t do it justice!) and being able to tour and learn about how the coffee is made was so intriguing; not to mention all of the coffee flavors were so TASTY! The best way to describe this place was a big tree house in the middle of a jungle. During this visit, I got a chance to try the infamous swing on Instagram. I was scared shitless (let me tell you – as I am afraid of heights!!) but you are securely strapped onto the swing so it wasn’t as dangerous. Just don’t look down! Such a fun experience! Next up was lunch time – my tour guides took me to another scenery spot called Sari Organic located at Pulo Mujung. 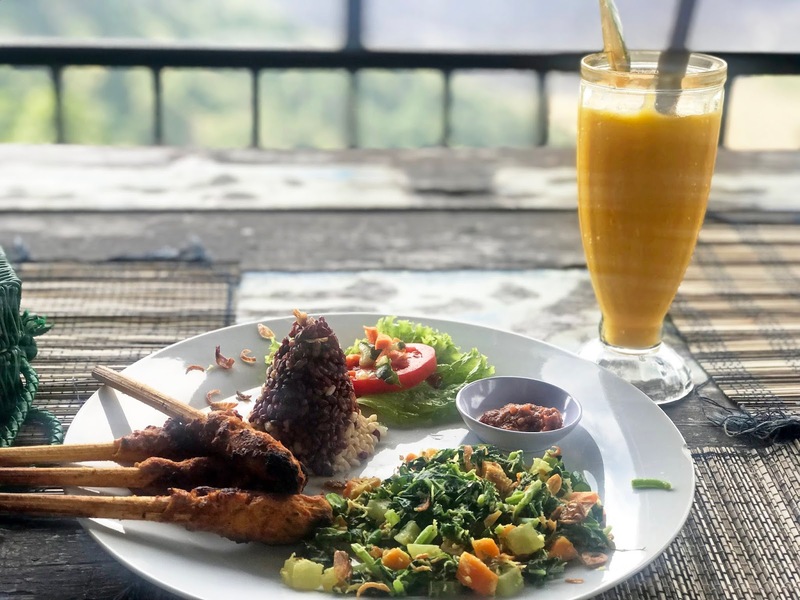 This little lunch spot offered healthy and organic options; which was nice but what really took the win was the stunning volcano views of Mount Batur. It was a bit chilly up there but totally worth the stop. The tour completed with a quick stop at the Cepung Waterfall – where we viewed the hidden waterfall within the caves. (Note: to get to this waterfall you have to walk down a TON of stairs. Great exercise for sure!) It was a great way to end the trip. Unfortunately since we spent too much time at the coffee place, we didn’t have time to head to the temple as it was hours away. If you take the tour; it will be included. Overall; it was a blast and a trip of a lifetime! You can see all of this in ONE full day with the amazing tour guides! They were so accommodating and I recommend doing it! Book your trip here. This is a full day tour – make sure you bring a few outfits to change into (especially if you want to take IG worthy shots). Bathing suit, shorts, tee-shirt, and maxi dress is recommended. Bring a lot of sunscreen and bug spray! If you’re looking for a hiking adventure in Bali; head to Mount Batur during sunrise. 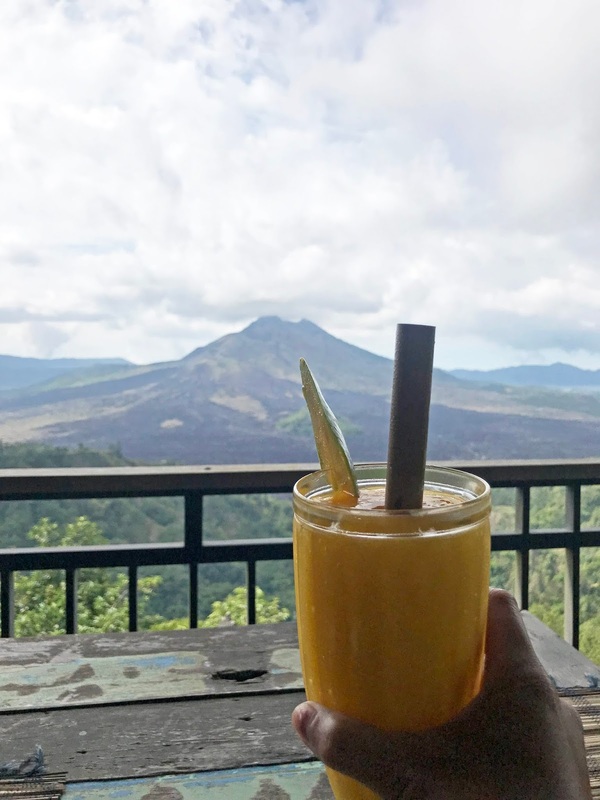 This is one of the most famous volcanoes in Bali and stands at 1,700 meters above sea level. The hike is best done in the early mornings around 4 am – you can take a sunrise hike tour where you will be picked up around 1:30 am to 2:30 am at your hotel. It is about a 1.5 hike, which then at the top are rewarded with breakfast and amazing sunrise views. The tour also includes a stop at a natural hot spring; the best way to relax and sooth away your aches and pains after a morning hike. This hike is considered one of the easiest treks in Bali. Take a tour underwater by snorkeling at 3 different spots around the islands of Nusa Lembongan and Nusa Penida in the Indian Ocean. This is a great way to discover the diverse coral reefs and see the beautiful array of fish, turtles and manta rays. Rated number 1 waterpark in Asia; this waterpark is great for the whole family or with a bunch of your friends. Waterbom is filled with waterslides, rides and playful games – you and your family will surely be kept occupied for a whole day. 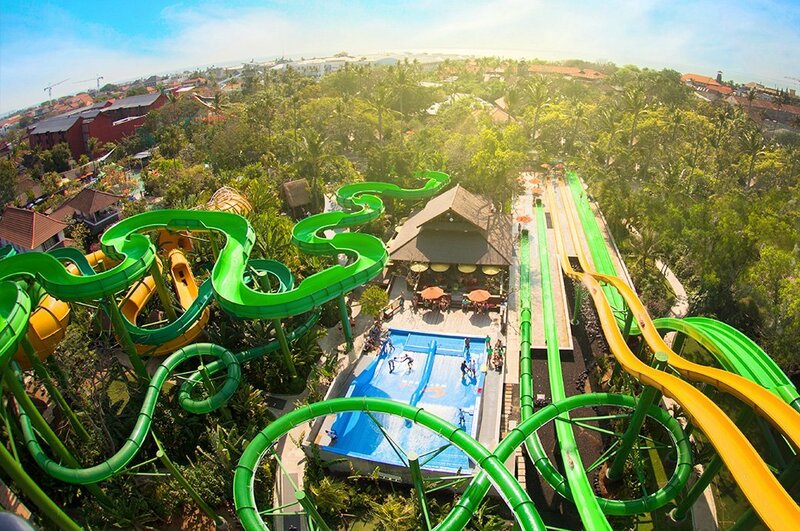 This waterpark is located on the southern section of Kuta Beach. Ku De Ta – a restaurant that offered panoramic views of the Indian Ocean. The food and drinks were not bad either! My friends and I enjoyed some pizza and sushi, and mojitos – all so yummy. 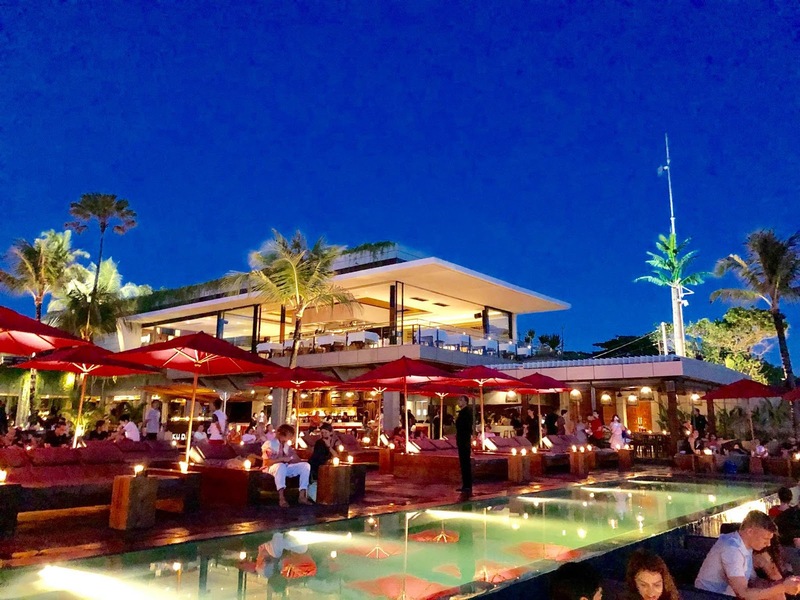 La Favela – located in the heart of Seminyak is Bali’s hottest lounge/club that you must hit up while in Bali. With unique detailed rooms and energetic crowds, it is safe to say we all had a great time. Finns – looking for the ultimate beach club with bottle service, ocean views and lively people - Finns Beach Club is your answer. Another great way to enjoy the Bali outdoors is with river rafting. 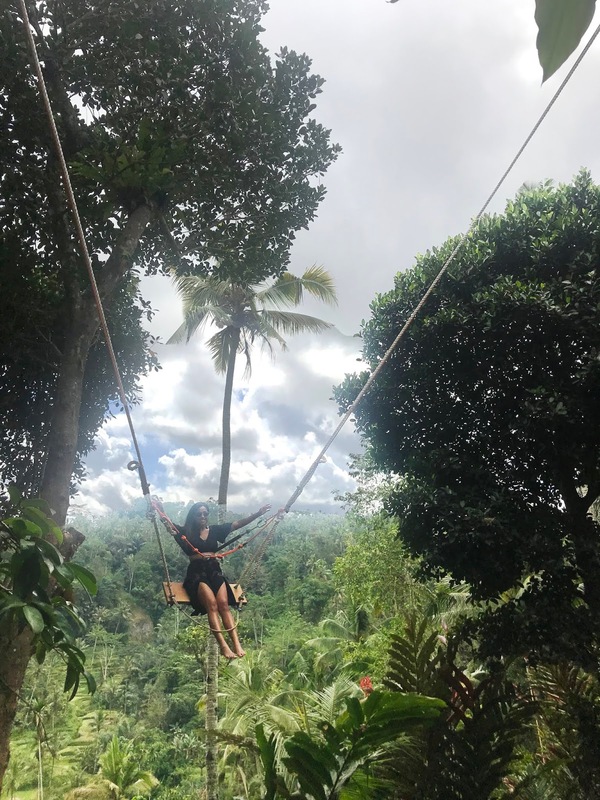 During this experience you can enjoy stunning Bali landscapes and admire beautiful stone carvings along the river – all while enjoying the thrills of this wild ride. During our time in Bali, we stayed in North Kuta area in a gorgeous villa, where you can view more here. 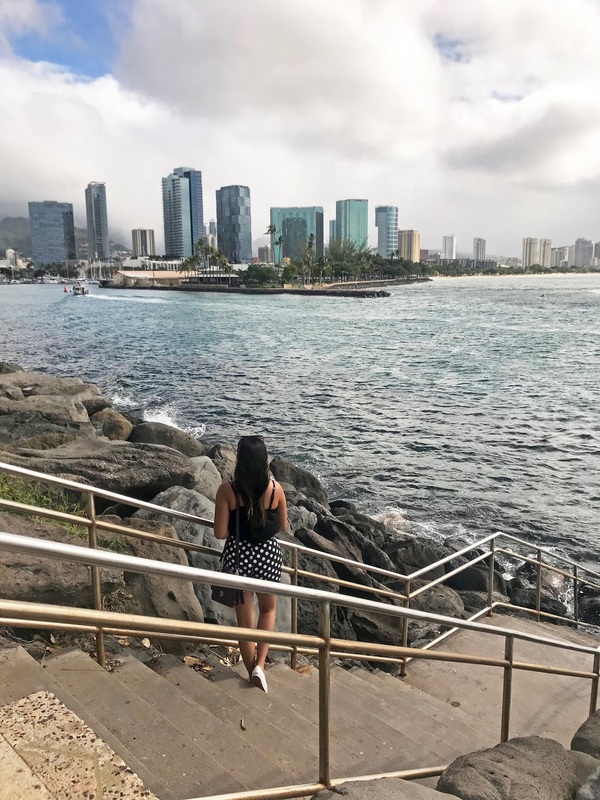 This beautiful island has so much to offer; not only for the pretty sites to see but also the amazing culture and people of the island – which makes it one of the best places to visit! Bali is one of a kind – and the next time you’re there, definitely visit the above. For more deals and tours, click this link. If you missed it – read all about my Thailand adventures (Bangkok / Phuket). Disclaimer: Some of the content above was sponsored, but as always, all opinions in this review are my own. Special thanks to the team at Get Your Guide for taking care of us during our visit; and shout out to The Instagram Tour crew for being amazing!! !